Influencers from across the mobile ecosystem descended upon Barcelona last week for the GSMA Mobile World Congress 2013, and the Mondato team was there to witness and participate in the record-setting event that drew more than 72,000 visitors from over 200 countries. Over the course of the four-day conference and exhibition, it became clear that mobile financial services were a central theme of the event, with an array of new MFS products and partnerships unveiled, and some interesting surprises. 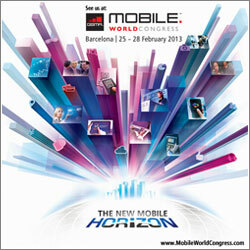 Our MWC Barcelona correspondent shares with you some of the key MFS trends and announcements below. While telco-led mobile money services targeting the unbanked used to dominate the MFS scene at previous MWC events, this year saw a shift towards products focusing on banked customers. Square-esque mobile POS solutions were ubiquitous around the conference halls, with similar offerings from ROAM, MasterCardand SumUp, to name just a few. The range of value-added MFS services displayed at the event further illustrates the maturing of the space, with a rise of mobile couponing, vouchers and location-based services offered by companies such as Novatti, AIRFID andFoursquare, among others. The shift from MNO to bank-led mobile payment offerings was especially evident in announcements from Fundamo, a Visa company. Fundamo has become more bank-focused, with about 50 percent of deployments launched in partnership with banks, and this number continuing to grow. They are further introducing a prepaid card linked to their mobile wallet, illustrating a bank-centric push (which makes sense considering the strong ties between Visa and the banking industry). Visa and MasterCard remain neck-and-neck in the mobile payments race, though it seems that Visa still leads the way with their acquisition of Fundamo and long-term commercial agreement with the U.K.’s Monitise, both leading MFS providers across emerging and developed markets. MasterCard has long relied on partnerships as opposed to acquisitions, but has become more aggressive in the space – as a flurry of MWC announcements from the card provider illustrates. One highlight of the MWC events for mobile payments watchers, and a possible signal of the industry moving away from NFC, was the announcement of MasterPass by MasterCard, which will enable consumers to use any payment card or enabled device to access a range of shopping experiences – online, in stores, or anywhere. The service is an evolution of PayPass Wallet Service, which was announced in the spring of 2012 and has been piloted with select merchants and issuers. MasterPass places more emphasis on working with retailers and merchants to enable mobile-friendly, device-agnostic shopping experiences. The new scheme will also let merchants offer their own branded wallets via the MasterPass API. According to MasterCard chief emerging payments officer: “MasterPass brings together all of the ways we pay for things, from traditional plastic cards to digital wallets, and gives consumers the ability to make a payment from wherever they are and with one simple experience.” An array of merchants and financial institutions have already signed on to support MasterCard and its digital payment strategy, including VeriFone, mFoundry, American Airlines and Citi, to name only a few. MasterCard also announced a burst of new partnerships to enhance the provision of mobile payments, both in its home market and internationally. These include a partnership with Orange to accelerate the delivery of mobile payment services in Spain, and the launch of an NFC payment pilot in Brazil, in partnership with Itau, TIM, Redecard and Gemalto. The company has further announced collaboration with Equity Bank and Ezetap in Kenya to introduce mobile point-of-sale technology for the country’s retailers. A partnership with VimpelCom will provide innovative payment solutions to VimpelCom customers in 18 countries, both banked and unbanked. Foursquare announced its own partnership with MasterCard and Visa that will offer users special discounts for using their MasterCard or Visa card when they check in to certain locations. The test pilot will begin with Burger King franchises across the US. Women in emerging markets represent a huge and untapped opportunity for mobile financial service providers, and one that could have a widespread impact for both women at the base of the pyramid, and MFS providers looking to raise their bottom line. We wrote about this issue in a past newsletter – Women in Emerging Markets: An Untapped M-Opportunity? –but the topic has recently returned to the forefront of the mobile industry with the release of a new study by Visa and GSMA. The study, Unlocking the Potential: Women & Financial Services in Emerging Markets, focuses on how women manage their money, what their financial needs are, and how MFS can fit into their lives. The key takeaway from the report is that women are often the head of household finances, and as such, represent an important and often overlooked potential client segment for mobile money services. As part of the Global Mobile Awards 2013 (think: Academy Awards for the mobile industry), the GSMA mWomen program further announced the winner of the “Best Mobile Product/Service for Women in Emerging Markets” award – “Almas Line” by Asiacell – a SIM embedded with specifically designed features addressing the main barriers to women mobile usage in Iraq: price, harassment, cultural issues, concerns with technology and technical illiteracy. Since the launch of Almas Line, Asiacell has seen a dramatic rise in the number of female subscribers – opening opportunities for the development of mobile money products targeting this important segment of the population. •Visa Partners with ROAM, Samsung: Partnering with mobile payment dongle-maker ROAM, Visa aims to bring more merchants and acquirers to their new Visa Ready mobile payments platform. The partnership will enable third party merchants to integrate Visa payment services more seamlessly into their own payment system via access to Visa’s APIs. As part of a new partnership with Samsung, Visa’s NFC software will be embedded into a range of smartphones and tablets, expanding NFC access to more people. •And the winner is…Flous: The winner of the Global Mobile Award for best mobile money product or service was Flous, a mobile payments offering developed by Etisalat, in partnership with MasterCard and Oberthur Technologies. The service offers payments, transfers, bank account management, secure access and ticketing and it reported to be “fully interoperable, industrial grade and open-loop”. As the dust settles from this massive conference, it is clear that the mobile financial services sector is growing and evolving rapidly. No longer the sole territory of telcos and banks, a range of new players are making a name for themselves in MFS, from credit card companies to prepaid card providers to global payment processing networks. There are also OTT app providers such as Square offering mobile money services and causing a headache for mobile operators, as the next article shows. With each player trying to establish a firm foothold in MFS, the next year will certainly be a period of rapid growth and maturation in the space – and perhaps by next year’s MWC the clouds will lift a bit, showing some clear front runners in the mobile payments race. Can mPOS Platforms Succeed In Emerging Markets?